Several jurisdictions have attempted to render divorce more harmonious by abolishing matrimonial 'fault' and facilitating the resolution of divorce disputes by mediation. In Britain, these provisions appear in the Family Law Act 1996. The book presents a challenge to the underlying assumptions that conflict and the adversarial system are undesirable. 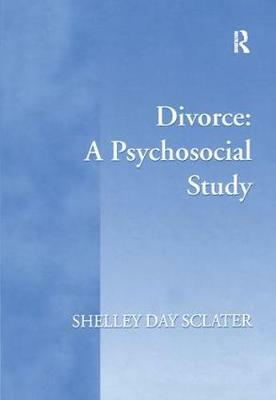 Its focus is on adults' experiences of divorce. In a series of interviews, divorcing people told their own stories of divorce. The personal narratives revealed that divorce can be emotionally traumatic, but it has positive sides too. The emotions of divorce are not pathological , but are readily explicable as ordinary human coping strategies , in the context of the real material privations that many divorcing people suffer. These coping strategies often involve conflict and acrimony. From a psychodynamic perspective, it is argued that these are integral, and psychologically necessary, aspects of the divorce process. This book is particularly topical in the light of the recent decision of the British Government to postpone the implementation of the Family Law Act 1996 and the acknowledged need for research to inform policy.